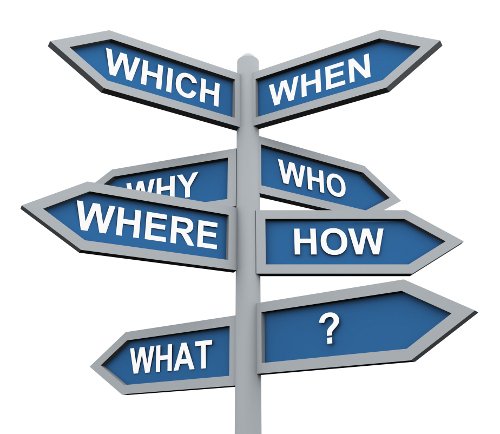 We know that you have questions about retirement planning and your IRA transfer options. At Janguard, we’re here to help with specialized advice and one-on-one planning for your retirement investing needs. We’re always ready to answer your IRA transfer questions and help put you back on track to meet your retirement goals. What is the fastest way to open an IRA account with Janguard? Call a Janguard IRA adviser at 800.571.6341 and mention that you would like to open, transfer, or rollover an IRA. What types of IRA investments can I make with Janguard? Janguard believes that artificially low interest rates and increasing government debt could lead to massive inflation, and for that reason we recommend IRA investments in hard assets like gold and silver. If you prefer other investments instead, there are many IRA custodians that can offer you stocks, bonds, real estate, Checkbook IRA plans and more. Greater flexibility in investments is just one aspect of the 401k vs IRA debate, understand the advantages and limitations in both accounts. How will my IRA help me meet retirement goals? Opening a Janguard IRA can help you to save money for your retirement. IRAs are a popular way to protect and grow wealth during your working years for the benefit of yourself and your loved ones later in life. How much money can I contribute to my IRA account? The IRS allows contributions of up to the lesser of 100% of your earned income or $5,500 for both 2013 and 2014. When you reach age 50, your contribution limit increases by $1,000 annually. At age 70 ½ you are no longer allowed to contribute to your IRA. Can Janguard IRA advisers help me choose my investment(s)? Janguard IRA advisers are on hand five days a week to help with paperwork, transfer processing, and investment selection. How do I fund my IRA transfer? You can transfer your IRA via a rollover from an inactive employer-sponsored plan, from an existing IRA, or with a check or bank wire. Can I add more money to my IRA at a later time? Yes, you can add money to your IRA by making annual contributions to the account, or by consolidating other retirement accounts into one account. or you can consolidate other former employer-sponsored retirement plan assets or IRAs. Can I withdraw money from my IRA account? You can withdraw your money at any time, but you will be assessed a 10% penalty if you withdraw funds before age 59 ½. Distribution rules vary depending on the type of IRA you own. Yes, you may open multiple IRA plans, but it is important to fully understand contribution limits and IRA transfer rules if you plan to maintain multiple accounts. Can I open and contribute to an IRA if I have a retirement plan at work? You may maintain an IRA even if your employer offers you a 401(k) or 403(b) but it is important to know the total contribution limits for your accounts, both individually and collectively, so as to be compliant with IRS regulations. Can I open an IRA if I am self-employed? Absolutely. You can open a Traditional and/or Roth IRA, and depending on your specific situation you may benefit from opening a SIMPLE IRA (Savings Incentive Match Plan for Employees) or a SEP IRA (Simplified Employee Pension). Can I roll over multiple IRA or 401(k) accounts? 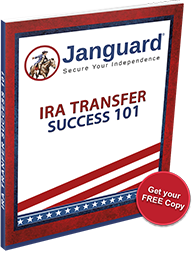 Yes, you can roll over multiple IRA, inactive 401(k) or inactive 403(b) accounts with Janguard. Will I owe taxes on my IRA rollover and/or IRA transfer? Generally speaking, there are no tax implications for executing a direct rollover, meaning the assets go directly from your employer-sponsored plan into a Rollover or Traditional IRA via a trustee-to-trustee transfer. If you choose to convert some or all of the savings from your employer-sponsored 401(k) or 403(b) to a Roth IRA, the conversion would be subject to ordinary income tax. If you withdraw your assets from your inactive 401(k) or 403(b), and if the check is made payable to you, and if taxes are withheld, you may still be eligible to execute the 60-day rollover. Within 60 days of receiving your distribution check from the old plan, you must deposit the money into an eligible Rollover IRA to avoid current income taxes and possible 401k withdrawal penalties. If the administrator of the old plan withheld taxes from your distribution, you would have to add that same amount to the new account if you want to roll over the entire distribution (and get that money back from the IRS). If you hold the assets for more than 60 days, the situation becomes more complicated as your distribution will be subject to current income taxes and a possible early withdrawal penalty. We recommend that you contact your qualified tax professional in this situation. Can I convert my Traditional IRA into a Roth IRA, or vice versa? It is possible to convert a Traditional IRA into a Roth IRA, and the reverse is also an option for investors. Please speak with your professional tax adviser before undertaking an IRA conversion. A Roth IRA is a U.S. retirement account that lets you to save money that gets taxed as you make the contributions, thus allowing you to make tax-free withdrawals once you retire. A Traditional IRA is a U.S. retirement account that lets you save money that can grow tax-free until you begin to make withdrawals after retirement. What is the difference between a Roth IRA and Traditional IRA? The main difference between a Roth IRA and a Traditional IRA is that Roth IRA contributions are taxed, and withdrawals are not, whereas Traditional IRA contributions are not taxed, and withdrawals are. A SIMPLE (Savings Incentive Match Plan for Employees) IRA Is a U.S. retirement plan that small business owners open for their employees. With a SIMPLE IRA contributions are made by employers and employees alike. A SEP (Simplified Employee Pension) IRA is a U.S. retirement plan that business owners who are self-employed and employ less than 25 people use. With a SEP IRA, the employer makes contributions on behalf of the employees. 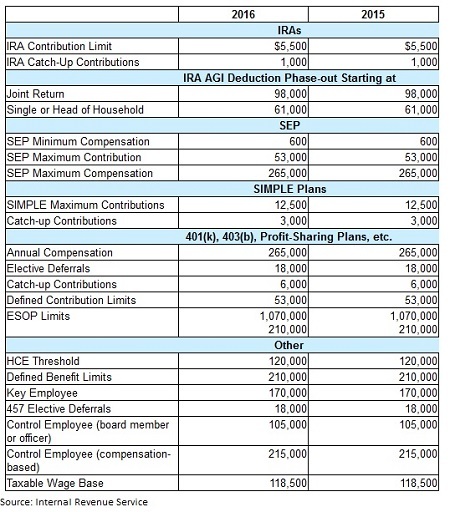 What is the difference between a SIMPLE IRA and a SEP IRA? The main difference between a SIMPLE IRA and a SEP IRA is that the SEP IRA is an option for self-employed individuals, and only the employers make contributions. A SIMPLE IRA is available for individuals who work for a small business, and contributions are made by both the employer and the individual employee. I already received a check made payable to me, and 20% of the funds were withheld. How can I get that money back? You need to replace the withheld 20% with the exact same amount of money within 60 days of taking the distribution. If you do, the 20% that was withheld will be credited to your income tax liability when tax time comes. If you don’t have enough money to make up for the 20% withholding, then the IRS will consider that 20% a distribution, making it subject to current income taxes and a possible early withdrawal penalty. I just changed jobs. Can I withdraw some of the money from my old employer’s retirement plan and roll the rest of the money into a different account? Yes, you may use your old employer’s plan to do this as long as the plan administrator permits the move. You will need to pay ordinary income tax on the money you withdraw from the inactive account. You will also pay a 10% penalty if you are under the age of 59 ½. Contact the IRS or your tax professional for more information and guidance on this topic. I inherited an IRA. Can I roll the inherited IRA into my own IRA? You may roll funds from an inherited IRA into your own IRA if the inherited IRA belonged to your spouse. If you inherit an IRA from anyone other than your spouse then you are not allowed to roll it over or receive a rollover contribution. You must withdraw a non-spousal inherited IRA’s funds within a specified time. Contact the IRS or your tax professional for more guidance on this subject. Why is age 59 ½ so important for retirement accounts? When you turn age 59 ½, the IRS waives the 10% penalty for IRA withdrawals. If you have an employer-sponsored plan, you may be allowed to roll some of the funds from that plan into your self-directed IRA with no penalty when you reach age 59 ½. The Internal Revenue Service changes their regulations on a regular basis and, although Janguard makes every reasonable effort to keep our information up-to-date, it is recommended that you corroborate information found on this website with information found at IRS.gov, and we also advise investors to consult their CPA, accountant, and/or tax attorney for confirmation of information found on this website. Janguard IRA advisers are not allowed to give tax advice. For answers to your IRA transfer questions, call Janguard directly at 1.800.571.6341 and one of our friendly IRA advisers will be happy to assist you.